Buckles Bakery was here for over 60 years and in the Bath Road for a total of nearly 90 years. The shop was run by Walter Buckle and his business partner sister Eliza, who were born in the Bath Road in 1838 and 1842 respectively. They seem to have diversified the business and were described in various ways during their long stay here, including as bakers, grocers, tobacconists, corn dealers, forage merchants and drapers. As bakers they were famous for their dripping cakes, which were sorely missed when the bakery closed in the late 1920s. Walter died at the age of 68 on 1st May 1905, leaving almost £7,000, some of which was shared amongst his long-serving staff. He also made a bequest of £400 to Emmanuel Church. After his death the business was acquired by Mr E.E. Terry but continued to trade as Buckles. When Buckles finally closed at the end of the 1920s the whole premises became a branch of Peacock’s Fancy Goods. Albert Frank Peacock founded the company in Warrington, Cheshire in 1884 as a Victorian Penny Bazaar selling anything and everything. The company continued to grow in the 20th century and in 1940, Albert’s son, Harold, moved the business to its current home in Cardiff. They are now an international fashion retailer with over 500 outlets in the UK alone. However Peacocks had a very short stay in Bath Road and another fancy goods store, Stubbs, soon took over the premises. Stubbs Stores also had another shop in the High Street and were a drapery warehouse that also sold fancy goods. In 1931 they advertised in the Situations Vacant column of the local newspaper for a young lady aged 14-15 who was fond of needlework and willing to learn power machining. Her wages would rise from 6 shillings (30p) after the first 2 months to 8 shillings (40p) per week, until she was proficient, and then good money was offered for piecework! Stubbs Stores were here for just a few years, after which the premises were empty for a while. Elmstone Cottage was in fact quite a large building and by the time the road was renumbered in the early 1930s the property had been divided into 238 and 240. Later, 238 was subdivided into 238 and 238a. By the start of the Second World War, number 238 had become the home of Quality Shoe Repairs, under the ownership of W.H. Broughall Ltd. Then in 1940 the shop was split into two and Quality Shoe Repairs took on number 238a. Some local residents may recall Mr Fear who was the shoe repairer here for many years. During the war, leather along with many other things, was rationed and Mr Fear could only mend a few shoes every week. When his allocation of leather was exhausted he shut up shop for the rest of the week! 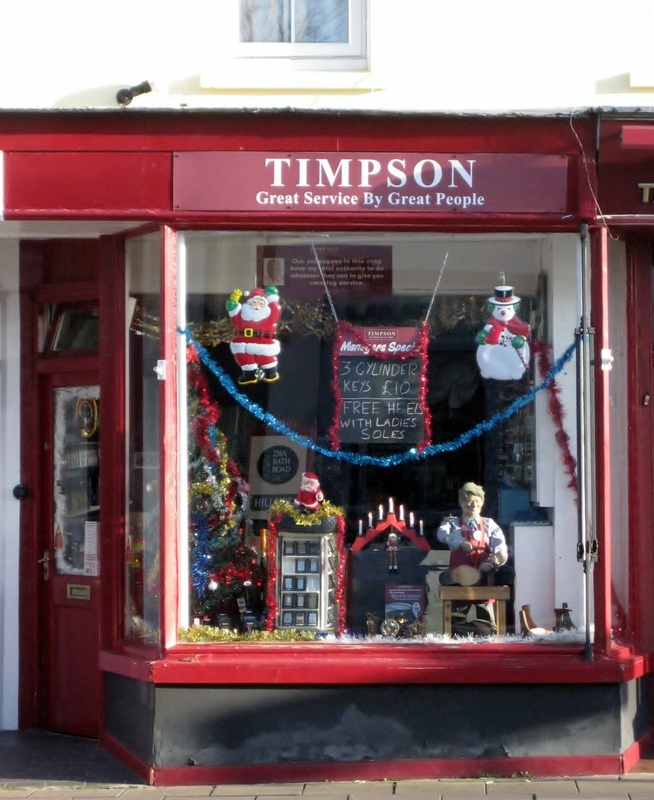 Timpson’s shoe repairers are still trading from 238a in 2014, representing a continuity of use for over 70 years.